A Chinese developer known for its investments in everything from soccer clubs to spring-water companies is taking on Elon Musk in the electric vehicle arena, declaring it can be the biggest manufacturer in the world within three to five years. Musk, the chief executive officer of Tesla Inc., has been churning out EVs for years and has only recently been able to make a profit. Besides Tesla, Evergrande will come up against all the world’s major car makers, which are plowing tens of billions of dollars into EV production and research. 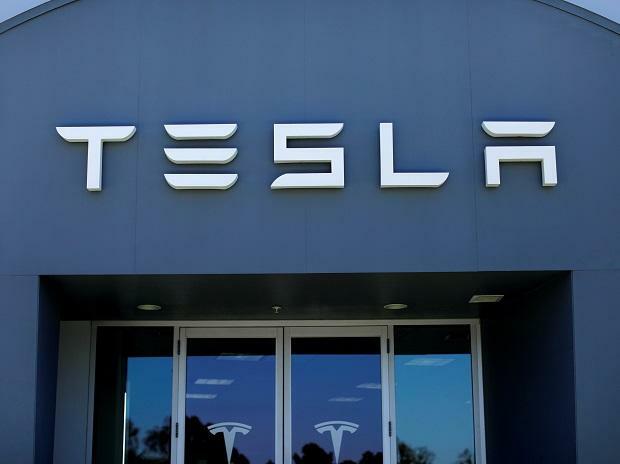 Tesla’s latest Model Y crossover, unveiled earlier this month, has rekindled concerns about the company’s cash position and analysts are skeptical of executives’ claims they can service debt obligations. Nissan Motor Co., meanwhile, unveiled a new version of its Leaf plug-in electric car in January, while Daimler AG in December announced plans to buy $23 billion worth of battery cells by 2030 to bring electric and hybrid vehicles to market. Still, it’s not the first time the property developer has dabbled in automotive technology. This year alone units associated with Evergrande’s health division have spent more than $1.1 billion buying stakes in an array of EV-related companies, including an interest in a maker of in-wheel motors, a stake in a battery maker, and part of a Swedish firm focused on intelligent cars. Evergrande Health Industry Group Ltd. also last year pledged $2 billion to EV startup Faraday Future, the firm founded by Chinese ex-billionaire Jia Yueting that’s been expanding in the U.S. After a legal fight over whether Jia could take on new investors, Evergrande Health agreed to a reduced stake. The interest does at least give Evergrande a production base for its own cars. Evergrande in August pledged to invest 100 billion yuan ($15 billion) over the next decade to establish research bases with the Chinese Academy of Sciences. The six projects will span everything from AI to drone development. The firm also said Tuesday that Harvard University President Lawrence S. Bacow visited the company’s Hong Kong headquarters on Monday. Evergrande and Harvard University discussed future cooperation on the R&D of new energy car batteries, electric motors and AI for Evergrande’s EV business, Evergrande said in a separate statement. Evergrande’s Hong Kong-listed stock rose 4.1 percent to the highest since August.